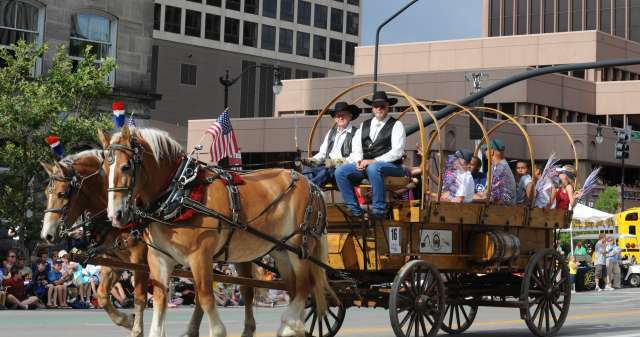 Salt Lake City is getting ready for Pioneer Day, also known as Days of &apos;47 or simply the 24th of July. Pioneer Day marks the day in 1847 when Brigham Young and the Mormon pioneers entered the Salt Lake Valley. It&apos;s an extra summer holiday for most Utahns, celebrated in much the same way as the 4th of July with picnics, parades, rodeos, concerts and fireworks. This year, July 24th falls on a Sunday, so the traditional parade, Native American festival and fireworks will be held on Monday, July 25th. What will you be doing this Pioneer Day weekend? Make it a great one, whether you decide to attend the parade or the rodeo, catch a Bees or RSL game, barbecue with friends, hang out at the pool, take a hike or something else altogether. Click on the links below for lots of great ideas to help you plan your celebration. Photo courtesy The Days of &apos;47. Read more from Marsha Maxwell at http://saltlakecity.about.com.